You'll be £12.99 closer to your next £10.00 credit when you purchase Grays (Thurrock) In the Great War. What's this? Grays (Thurrock) in the Great War tells the story of Grays and the wider Thurrock area from the outbreak of the Great War until the peace of 1918. The Docks at nearby Tilbury were the source of much employment in the area for both fathers and sons alike. They also played their part in the war, but not as a hub of military deployments. In May 1915 the German spy Augusto Alfredo Roggen, a Uruguayan born in Montevideo, arrived at Tilbury on board the SS Batavia, which had sailed from Rotterdam in Holland. On his arrival in England he made his way to Scotland to carry out his spying activities at the Loch Long torpedo range. He was captured, found guilty and executed by firing squad at the Tower of London on 17 November 1915. In July 1915 the German Naval officer and pilot, Gunther Plüschow, made good his escape from Donington Hall POW camp in Leicestershire and made his way safely back to Germany by hiding himself on board one of the many ships that sailed from Tilbury. He became the only German POW to escape from Britain and make it back to Germany during the First World War. The Kynochs munitions factory was situated near Fobbing on the site of what had previously been Borleys Farm. The site, which made shell cases, detonators, cordite and acetone for the British war effort, was so vast that it included its own housing estate for its workers, a hospital and a railway line. It became so big that it actually became known as Kynochtown and was a major source of employment in the area, particularly for women. There were Prisoner of War camps at Horndon House Farm, Puddledock Farm and Woodhams Quarry in West Thurrock which housed over 150 German prisoners. The Thurrock area also played an important part of protecting London from seaborne invasion up the River Thames with the help of Tilbury Fort and Coalhouse Fort at East Tilbury. 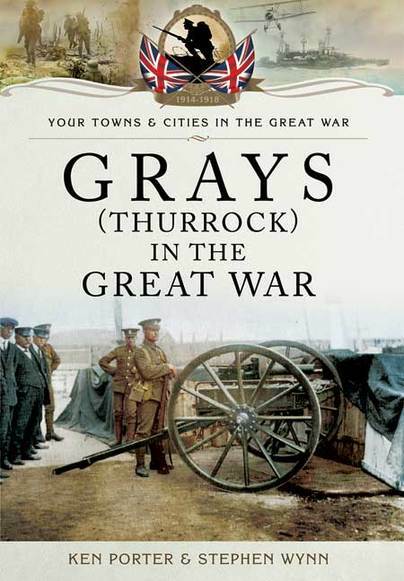 Part of the excellent 'Your Towns & Cities in the Great War' series, this volume covers the Grays and wider Thurrock area from the outbreak of war to peace in 1918. It tells of Tilbury Docks, Tilbury Fort and Coalhouse Fort at east Tilbury and the parts they played; of the Kynochs munitions factory near Fobbing, the women who played their part and the expansion of the works to include a housing estate, hospital and railway line; and the local area's prisoners of war camps which housed over 150 German prisoners. 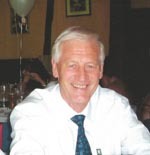 Ken is also retired, having spent his working life in accountancy as a finance director. These days he is a very well-respected local historian of many years standing. He was born under the very shadow of St Nicholas Church and hasnt ventured that far away from it over the years, still living in the Great Berry area of Langdon Hills today. Stephen Wynn is a retired Police officer who served with Essex Police for thirty years. His first book, Two Sons in a War Zone: Afghanistan: The True Story of a Fathers Conflict, was published in 2010. It is his personal account of his sons’ first tours in Afghanistan. Both of his grandparents served in and survived the First World War. Animals in the Great War is written by Stephen and his wife, Tanya. This is the third book they have written together, having previously collaborated on Women in the Great War and A History of the Royal Hospital Chelsea 1682-2017. Stephen has written numerous titles in the military history genre over the years. His first book, Two Sons in a Warzone, was published in 2010. It is the true story of his sons first tours in Afghanistan. One of them was injured and the other was shot and wounded.